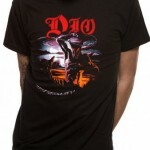 Dio was an American heavy metal band which was formed in the year 1982. The band was led by vocalist Ronnie James Dio who was previously in the band Black Sabbath. 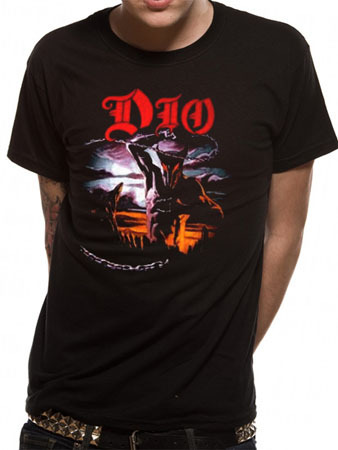 Ronnie Dio was already famous owing to the success of Black Sabbath hence the band chose the name Dio keeping in mind the commercial factors of selling. ‘Dio’ is the Italian name for ‘God’. Drummer Vinny Appice was also earlier working for Black Sabbath and decided to walk out with Ronnie owing to brewing disagreements in the band. The two decided to create their own band and named it Dio. The duo released their debut album titled ‘Holy Diver’ in the year 1983. The album generated two hit singles namely ‘Rainbow in the Dark’ and ‘Holy Diver’ which gained instant popularity with the help of MTV. The band cancelled their future assignments owing to the sudden hospitalization of Ronnie in 2009. On May 16, 2010, Ronnie James Dio died of stomach cancer.